You are viewing the Leah Thomas tag archive. Three years ago, I sat in a locked room and deliberated with my Morris Award Committee colleagues. We laughed and argued over the merits of each of our five finalists before reaching a decision. I was teary-eyed as our winner was announced and the audience cheered. I celebrated at the Morris/Nonfiction Award Ceremony and flew home that night, exhausted. There is something special about the Morris Award because it is given to a debut novel. I feel a special connection to the five debut authors whose work I spent a lot of time with. Sort of the way I feel about my nieces and nephews — proud, but not because I had any real part in their creation. Like a good Auntie following my siblings’ children, I have followed the career paths of the five 2016 Morris finalists. Here’s what they have been up to since 2016. Claudia prefers to stay on the periphery of the social scene at her private girls’ school, where no one knows how remarkably funny, caring, and wonderful she truly is. That is, until she accidentally witnesses the very awkward breakup of the school’s “It Couple” Iris and Paige, an incident which triggers a series of events that culminates in her forced participation in the school production of A Midsummer Night’s Dream, in conjunction with adjacent boys’ school Danforth. Thus thrust into the thick of all the things she had tried to avoid, Claudia must learn to navigate new dramas of her own, from her tentative, grudging friendship with prickly Iris to her budding feelings for Gideon Prewitt, the goofy, kindhearted, larger-than-life boy who is friends with everyone, but might want to be more than friends with her. Outside of school, Claudia is lucky to have the support of a wonderful family and a loyal best friend, with whom she nerds out over her favorite MMORPG and shares a lifetime of inside jokes. But when cracks begin to appear in her relationships, Claudia must reconcile her two worlds and realize, at long last, the profound value and worth she brings to them both. 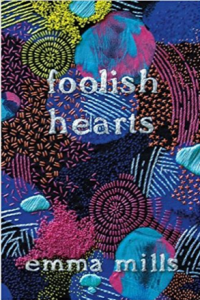 Leah Thomas is a finalist for the 2016 William C. Morris YA Debut Award. 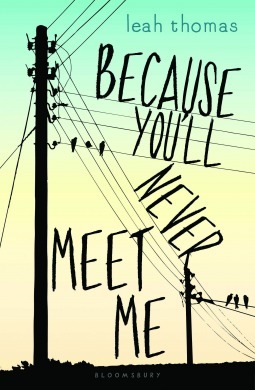 Because You’ll Never Meet Me is the story of two boys. One is allergic to electricity, while the other has a pacemaker. Because of the pacemaker, it would be dangerous for the two to meet. They become pen pals. It is a fantastic story of friendship, dealing with bullies, doing the right thing and discovering the biggest mystery of why they are who they are. The storyline is unique. What was the inspiration for the two main characters, Ollie and Moritz? It would be easy to say that Ollie and Moritz are opposites, but it’s not strictly true. I sometimes describe Ollie as the extrovert trapped in the woods and Moritz as the introvert stuck in the city, but they’ve got so many things in common: unique science fictional ailments, estranged/unknown family members, a tendency towards social ineptitude, an offbeat sense of humor, a deep sense of isolation and loneliness. To me, what made their story worth writing was the thought that these two characters, were they ever to meet in person, might have suffered for it: even without Ollie’s whimsical allergy to electricity and Moritz’s pacemaker, they’re so different in personality that it seems they would only clash. They might have loathed each other.